Without the proper nutrients, your heart won’t work properly. There are four nutrients in particular—vitamin A, thiamin, vitamin B6, and magnesium—that are absolutely vital to heart function. A deficiency of any of them could have disastrous results. So, it’s important to know what the warning signs of a deficiency are, and also what foods provide these essential nutrients. • Vitamin A: Without adequate levels of vitamin A, arteries can clog, and cells can be exposed to dangerous free radicals that can bring disease. Deficiency symptoms include dry eyes, inflamed eyes, poor night vision, rough or dry skin, and frequent respiratory and urinary tract infections. 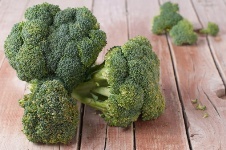 Vitamin A can be found in broccoli, dark green leafy vegetables, and any vegetables and fruits that are orange or yellow. Supplements are commonly 15 mg per day of beta-carotene (which is converted into vitamin A in the digestive tract), though up to 60 mg per day is considered safe. • Thiamin: Inadequate levels of this nutrient, also known as vitamin B1, can impair heart function, and can even cause heart failure. A mild deficiency will yield mood swings, and feelings of fear, uneasiness, depression, and confusion. Other symptoms can include loss of appetite, sleep problems, muscle weakness, and abdominal pain. Thiamin is found in large quantities in foods like whole grains, legumes, nuts (especially peanuts), fish (especially tuna), asparagus, Brussels sprouts, romaine lettuce, and crimini mushrooms. Most multivitamins and B-complex vitamins contain doses of about three mg of thiamin per day. It is particularly important for diabetics to keep their thiamin levels up. • Vitamin B6: Mild deficiencies of vitamin B6 are actually common; it’s probable that well over half the population doesn’t get enough vitamin B6. Along with confusion, depression, weight reduction, and skin problems, a severe deficiency could result in heart disease or a number of other serious conditions. Older adults, those who maintain a poor diet, and alcoholics are at most risk of deficiency. To make sure you get enough vitamin B6, increase your intake of these foods: organ meats, brown rice, sunflower seeds, legumes, walnuts, bananas, avocados, seafood, and potatoes. For supplements, the best way to take it is in a multivitamin or B-complex, because vitamin B6 works in combination with other B vitamins. The recommended daily intake, through diet, is 1.3 to 1.7 mg per day for adults. • Magnesium: This mineral works in the same way as many heart medications. With low levels, your heart can experience trouble. A deficiency is relatively common in North America, due to either losing too much in your urine, poor absorption, or not getting enough in your diet. Signs of deficiency include: low levels of calcium and potassium; confusion; disorientation; loss of appetite; depression; muscle cramps; fatigue; personality change; and tingling or numbness. Take a supplement containing 350 mg per day if you are deficient. Still, the mineral is so good for your heart that patients with heart disease are often recommended 1,000 mg of magnesium each day to help improve their ability to exercise. Foods rich in magnesium include leafy greens, whole grains, nuts, beans, avocados, seeds, shrimp, and fortified cereals.